Apple often changes the way iTunes works. 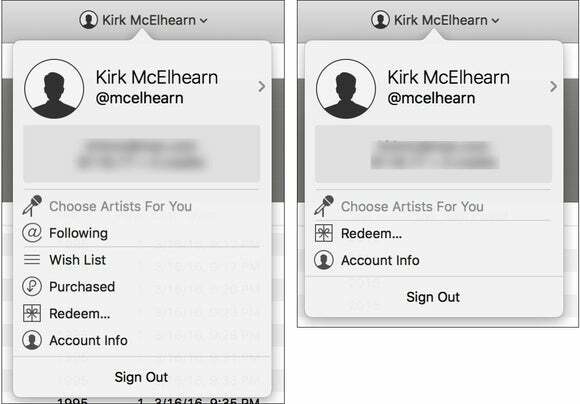 Kirk McElhearn is here to help you figure out how to manage your iTunes library. iTunes evolves over time, and sometimes there are good reasons why features don't seem to work as they should. In this week's column, I discuss why apps don't transfer from iOS devices, and how to get them back. Yet some changes are inexplicable, such as one affecting an iTunes Store menu; I explain a workaround for this change. Finally, I look at a problem with duplicating playlists, and offer a possible fix. Q: All my apps have disappeared from my iTunes library. iTunes also refuses to let me transfer the apps from my iPhone or iPad. The Transfer Purchases menu command is visible when I right-click on my iPhone, but nothing really happens. How can I get them back? Since iOS 9.2, you can no longer transfer apps from iOS devices back to iTunes. This is because apps now contain only the assets needed for the specific device they copy to. For example, you don't need large graphics for an iPad on an iPhone SE; this saves space on your devices. 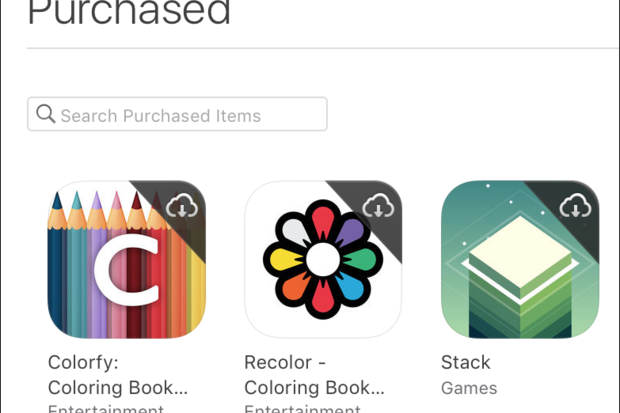 If you want to get the apps back in your iTunes library, you'll need to re-download them. This can take quite a while if you had a lot of apps. To do this, you need to go to your iTunes Store account. Go to any main store page (Music, Movies, Apps, etc.) and click Purchased under the Quick Links section in the sidebar. Click Apps near the top of the window, and either click the cloud links at the top right corners of the app icons, or, if you wish, click the Download All button at the bottom right of the iTunes window. If you do the latter, you may end up downloading a lot of apps you no longer use. 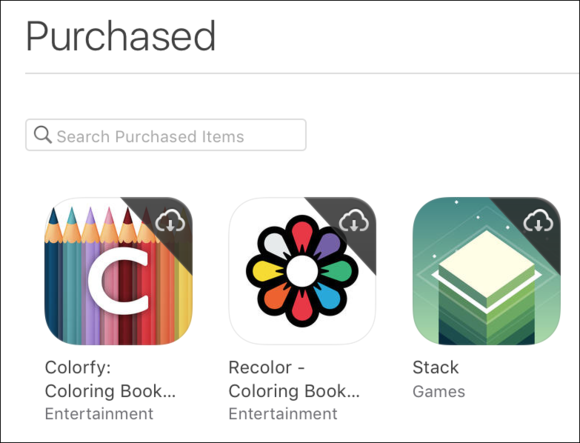 Download individual apps from your purchased list by clicking the clouds on their icons. If you have a lot of apps, you'll need to be patient, as it could take a long time for them to download; this depends on your bandwidth, of course. If you do click Download All, you might want to do this overnight. Q: I used to be able to get to my Wish List and Purchased list by clicking my name in the iTunes toolbar, but those options are no longer in the menu that displays. Any idea why not? In my reply to the question above, I mentioned another way to access the Purchased list, because of this issue. The iTunes toolbar displays a round head-and-shoulders icon and your name when you're signed into the iTunes Store. If the window isn't wide enough, it may only display the icon. If you click that icon, a menu displays with some store-related options. This menu used to show Wish List and Purchased links, but it doesn't any more, in some cases. This change appeared in the iTunes 12.3.3 update last month. It turns out that, for some reason, if you don't have Show Apple Music checked in iTunes' General preferences, certain menu items don't display when you click that part of the toolbar. On the left, the iTunes Store menu as it appears on my MacBook, which uses Apple Music. On the right, the same menu on my iMac, where Apple Music is turned off. My guess is that this is just a bug. When Apple Music is turned off, the first two menu items—Choose Artists for You and Following—shouldn't display, but perhaps Apple's developers made a small mistake, hiding two menu items that should display. Interestingly, the person who contacted me about this told me that Apple support claimed this was the expected behavior. We'll see in the next iTunes update. Q: Seemingly every time I add more songs to my iPhone playlist, iTunes generates a duplicate of the playlist. I currently have playlists named Playlist 1, Playlist 2, Playlist 3, all the way up to 43. They're not exactly the same, though; many of the songs I add get added to the duplicates, but not all of them. I’ve tried deleting them all but they come back. Can you help? This is, unfortunately, a fairly common problem with Apple's music cloud. If you use iCloud Music Library or iTunes Match, you may see this happening. The only workaround I've found is to delete the playlist, wait for your music to sync to all your other devices, then re-add the playlist. To save time, and not have to manually recreate the playlist, you can export it from iTunes, then re-import it. To do this, select the playlist, choose File > Library > Export Playlist, and choose XML format. Save the file, then delete the playlist in iTunes. Wait a while until you see that the playlist is no longer on your other devices, then import the file to iTunes by choosing File > Library > Import Playlist and selecting the file. iTunes will recreate the playlist as it was, as long as all the tracks are still in your library. Note that this even works for smart playlists. The file you export for a smart playlist contains the playlist's conditions, so when you re-import it, you'll have exactly the same smart playlist.